Growing up, our parents and siblings meant the world to us. They are our whole universe. OK, for some, they never really knew their parents since both are busy working their butts off for their careers. Then once we started school, we discover friends! As we move through different schools and into adulthood, we just swap one set of friends for another. Surprise, surprise! We now spend more time with colleagues (who are not our friends) than friends outside of work!? Lucky there are no Corporate Chinese New Year eve dinners or else who will spend time with family on CNY eve? Aren't you glad "Lor Hei" dinner does not clash with anything else? Being accepted by the Group or Herd is paramount. Or so you thought. That's until you met her (and/or him. Hey! What goes on behind closed doors I don't care). No one else matters. Even parents. But you don't say it out loud of course! You dare now to disappoint the world just because of her. Friends "jio" you out you not free. Mom asks you back for CNY you say you are taking a vacation with her. You even willing to tie the "knot" together. What is personal freedom? And your whole universe has a new alignment. Now that child matters more. And you are willing to do whatever it takes to make that child's future a brighter one. P.S. This love story is just a metaphor. If you had 10 or more years worth of investment and/or trading journey, see if it rang a bell? Works better if your journey now include more than one asset class other than equities. Even if you are a one asset class investor as in equities only, I'll be very surprised if your "parents and siblings" still matter the most? Can we stop using XIRR to mean annualised return? First, the last thing I would claim would be to an England grammar vigilante. Second, I would never dare challenge anyone on math or business finance calculations. Not when the max I can count using all my fingers and toes looking down is 21. If you have never studied business finance subjects - you've an Arts or Science background - its excusable you use XIRR as a "financial" blogger. But if you got proper business finance training in Poly and Uni, well, what's your excuse? XIRR is just a function in Excel to calculate internal rate of return or annualised yield for a schedule of cash flows occurring at irregular intervals. XIRR is not a recognised business finance acronym like CARG for Compound Annual Rate Growth. Can always say Annualised Return like what we see in Annual Reports and the Factsheets of mutual funds. Why then we use XIRR? If you observant, its mostly a Singaporean financial bloggers phenomenon. Overseas hobbyist financial bloggers tend not to care about "benchmarking". It all started with grand daddy monkey. He's the first to use XIRR in his blog. Then some other monkey sons and monkey grandchildren follow. But it does make you think right? Want to bet none of them work in Sales or Marketing in their day jobs? OK, this post no short cut. As you can see, although I can pay 100% of HDB resale flat in full using my CPF OA, I chose to take out the longest 30 year bank loan. What? And pay the bank 30 years of interests for nothing??? That's what the "save more" would spot first. The same ones who are having fits of ecstasy as they do their voluntary CPF top-ups or CPF transfers from OA to SA. They see the world in 1 to 2% increments. They pray to the God of Compounding. Needless to say, I belong to the "earn more" camp. As a hybrid investor/trader with aspirations to become a full fledged speculator one day, I am turned on by words like: carry, margin, leverage, and all things they warned you never to try. During my corporate days, I quickly learned the less I do and the more I talked, the more money I made. If I can leverage on Other People's Talents (OPT), surely I can do the same with Other People's Money (OPM)? I danced with the Demon of Debt; I do the leading of course! Today's post is not about the nuts and bolts or dollars and cents of financial literacy. We can debate until we all turn into smurfs (blue), and we still can't agree. Which is the right answer all along. You are risk averse; I am gambler. We choose the vehicle that suits us best! But there's one non-financial aspect of decision making that eludes most "financially literate" people. What happens when you get retrenched and your cash investments have lost money? Of course you can approach your bank to consolidate and reschedule your bank payments. But you would be going in cap-in-hand. By taking on a 30 year maxed-out duration loan, it may not make financial sense to some, but it was the most "conservative stance" psychologically speaking to me. I know if my investments made money, I can easily repay my bank loan anytime once the early payment penalty is over. For my case, because of SERS, I've be repaying my 30 year bank loan 11 years early in 4 years' time. I am approaching my bank in a position of strength. who wants to start her own thing would understand. Sometimes the path that "appear" dangerous to others could be the "safest" ones for us. 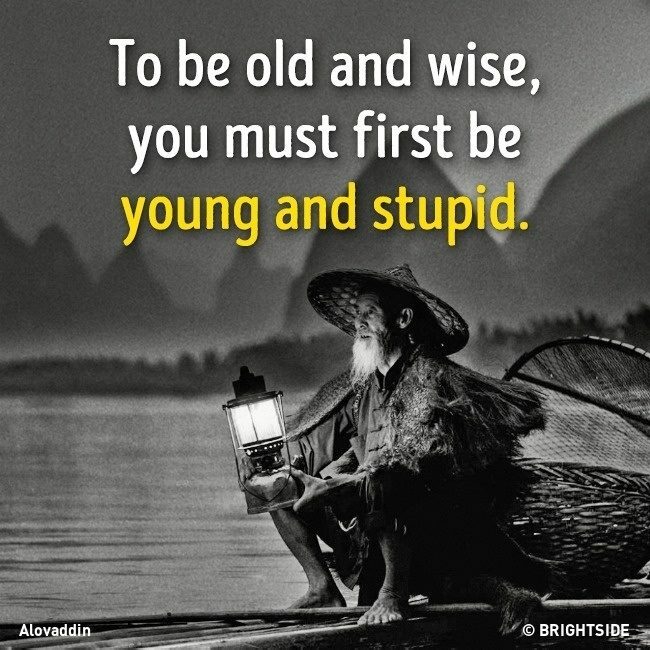 Again, sometimes its good to remember our 5000 years of Chinese wisdom passed down through the ages. You may already be practicing it without knowing the philosophy behind it - that's even better! If eating 70% full is already part of your dietary habit, and a jog every evening is part of your daily lifestyle, do you still need weight loss goals or count and track your calorie intake? In the Corporate world, we call it Systems or Processes. Once systems or processes are in place, we don't meddle with it until its broken! Or when our new activities have not become 2nd nature like in habits or lifestyle choices. Once we have crossed the river, why do you still need the sampan? Is this why Millennials want to seek Financial Freedom by age 35? If you have 15 minutes, you may want to watch this video and reflect. It has nothing to do with investing or trading (or does it? ), but I think there are some parallels on how financial bloggers and their readers behave in our community. 1) What's with the trend of young adults just starting work already making goals to be financially free before age 35? You wonder whether its an euphemism just to mask their failures to cope in the corporate world... Investing to "escape"? Since they have no freaking idea what to do with their lives, financial freedom becomes a convenient temporary "excuse"? At least now they have some "purpose" in their lives! 2) Those of you near my generation can attest to it. When we form relationships, its through face to face interactions. That's also why we have business lunches and dinners to "size-up" our business partners. You can't fax a handshake or teleconference a congratulatory hug. When we say friends, we don't automatically think of Facebook friends, do we? And definitely not someone whom we never met and only knew with an anonymous nick! Which reminds me, please don't Facebook me when I don't know you. Just because you've read my blog does not make us "friends". I'm like woman; I need foreplay. At the very least we must have a "relationship" in the comments section first lah! 3) Why do I care? Because its profitable! Self awareness of my own motivations so I can better select the "right" vehicle for myself is a given. Knowing how millennials think and behave as a group may present interesting investment thesis and trading ideas for me to exploit. If I want to hunt foxes and wolves, I go where the sheep are. Wink. If CPF is paying 2.5% interests, while banks are paying less than 1% for savings accounts, why don't you pay up your housing loans using cash? This way, you don't touch your CPF and you can enjoy the magic of compounding with higher interest rates? Also, by not touching CPF for housing, you won't be "asset rich; cash poor" when you reach age 55 or 65. Isn't this less cumbersome than using cash to top-up CPF and then use CPF to pay-off your housing loan? You may scream at me. Ask your uncles or older cousins who got retrenched during Asian Financial Crisis of 97 if you think 2 years too extreme. To double your investment portfolio from $100K to $200K is one thing. To do the same with $10K is another concept altogether, even though in percentages they are the "same". If I want to do CPF top-ups, I shouldn't be using CPF for housing or education or whatever reasons right? Especially if I like the 2.5% and 4% CPF "risk free" interests so much? Now my conviction is shaken... Should not have talked to you! Why am I investing using CPIS when I am toping-up cash to CPF??? There was a time when people would "shun" CPF. When got chance, quickly use our CPF to buy shares, properties, useless ILPs, integrated policies, and what not. If don't use now, wait we'll never see our CPF money ever! It seems we were in a race to deplete our CPF as fast as possible? Don't let big daddy get his hands on our money! Of course this idea was planted by snake-oil salespersons, and successfully too! If not how to earn commissions and fees? C'mon, be honest. You were sold to. You didn't come up with it yourself, did you? Now? With the low interest rate environment and the search for yields, all of sudden, there's renewed interest to voluntarily put money into CPF? In big daddy we trust. Never mind the constant moving of the goal posts... Its OK lah! You say you have the memory of a gold fish? Well, let's hope this time you came up with this idea yourself. There's no wrong or right answers as each of us have our own individual situations that only we know best. Who we are today is the sum of all the decisions we have and have not made in the past. 1) ILPs - It's just a dumb idea. Period. But great for the snake-oil that sold you! 2) Integrated policies - Some realise belatedly they can't afford to claim it when needed? 4) Property - OK, this could be the saving grace. But asset rich; cash poor in retirement. So those who voluntarily top-up money into their CPFs, well, we just have to wait patiently for the next 20-30 years to listen to their skin-in-the-game reviews. Many have focused too much on the nuts and bolts of CPF. Take a step back and see if you can understand the "spirit" of our CPF system. Why it was introduced for starters. And how this original "spirit" has morphed and evolved into another entity quite different from the original architects had intended. Who is it mainly designed for? And yet it is "encouraging" top-ups from some of us with tax reliefs and other incentives. As for the poor and those not doing too well, they will never top up their CPFs. Or? Only if you understand the "spirit" of this CPF beast will you ever tame and domesticate it. Whatever you do, just don't be on the menu! See lah! Take your time some more! It has happened to us before, haven't we? Then some idiot beat us to it! P.S. I didn't know chicken eat mouse? That's why I like to say to young investors and traders out there, "Youth, your strength is you don't know what cannot be done!" 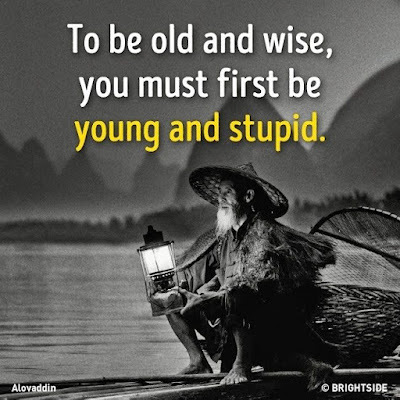 If you survive your bruises and falls, you'll grow old and wise with lots of interesting stories to share with youth! If you are into photography or working in the printing and advertising & promotions industries, when I mention cyan or magenta, you would know exactly what I mean - and the exact colours will pop up in your mind's eye. Laypersons would be like "bei kambings" (clueless little white lambs) to the above "precise" colours. Their colour vocabulary is limited to the colours of the rainbow, and they just add light or dark in front of these colours or combinations like blue-green to convey what they try to mean. Which is good enough for everyday conversations. You bought a new flat and you want your walls to be painted light blue, your home decorator (if professional) would pin you down with either the ICI or Nippon paint colour swatches with a 4 digit code right? If not, if you argue the finished colour is not "light blue" enough, how? But if your friend ask you what's the colour of the sky outside, light blue is good enough as a description. OK, if you are into creative outputs, you can. Art is all about pushing limits and barriers. However, when it comes to dollars and cents, the tax man would frown upon creative redefinition of standard accounting terms. That's why we have auditors and accounting standards to adhere to. If your business makes crazy bumper profits this current year, you can't all of sudden depreciate the new building you've just bought over one year - just to avoid paying too much taxes. That's why you can't say Burgundy then explain you meant dark brown. Now its about the reversed. Perhaps consciously or unconsciously, we tend to lapsed into this vanity. Perhaps its a natural reflex to project ourselves as more professional than we really need to. If you use words like Teal or Magenta, readers would not treat you as a casual hobbyist. They will assume you are a serious enthusiast. Similarly, if you drop precision descriptions like in Pantone colour shades, everyone will apply a professional standard to what you say or do. For those who use numbers instead, the equivalent is if you denote numbers up to 2 decimal places, then you must be prepared for others to apply a higher standard on you as opposed to another person who likes to round up numbers into whole numbers. Parents, this trick is an easy tell to see if you child is Arts (right brained) or Science (left brained) oriented. Be slightly concerned if you child is sometimes precise and sometimes grey grey. It may mean he/she is a hybrid which is fantastic news! He/she can run circles around their peers. She's way better than me! By the way, don't you just love her little accent?